I love a good deal. When I see something at an massively discounted price I feel like I won the lottery. That's how I felt when I discovered multiple sets of The New Black lacquer at TJ Maxx and Marshalls. I had seen these sets at Sephora and Ulta for $10-$22 a set. I found multiple sets of these at those discounted stores on clearance for $2-$4 a set! Score! I went into an Ulta in the same shopping center the same day and saw some of the same sets I bought at the $2-$4 at their retail $10-$22 price. Incredible validation and pride right there. I had always been intrigued by these sets, but never wanted to pay full prize for them. I struck gold, and I am still gloating about it a week later! Here is one of the sets I bought. The individual polishes do not have names though. 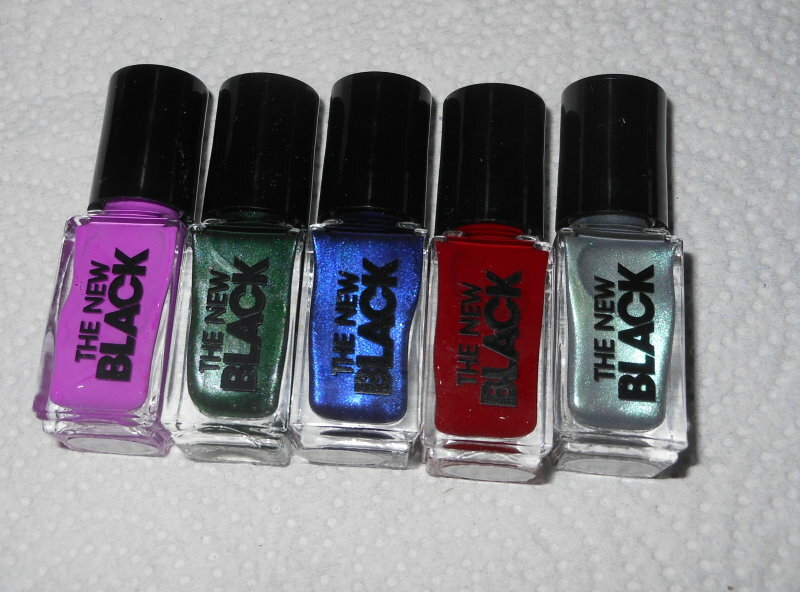 I'll also be doing one finger swatches with these as the bottles are super tiny. This is a bright orchid creme. 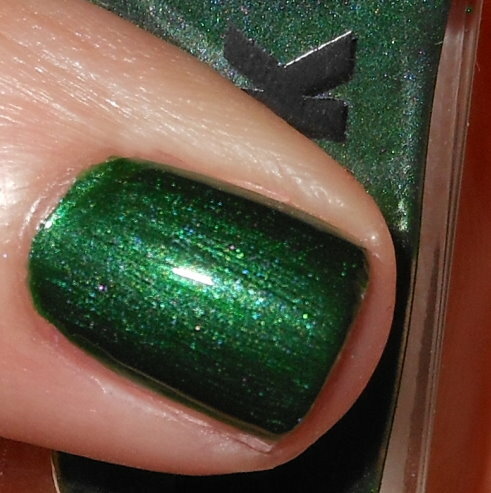 This is a hunter green shimmer. 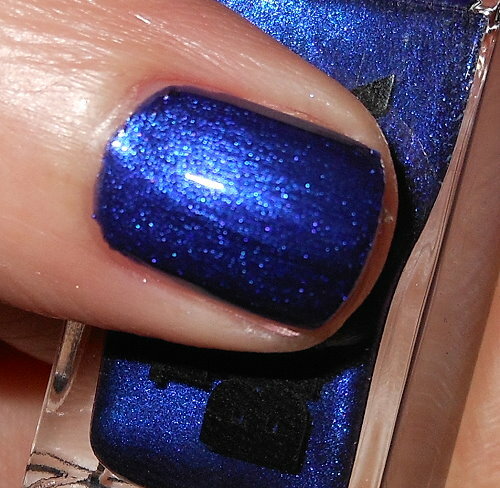 This is a cobalt blue shimmer. 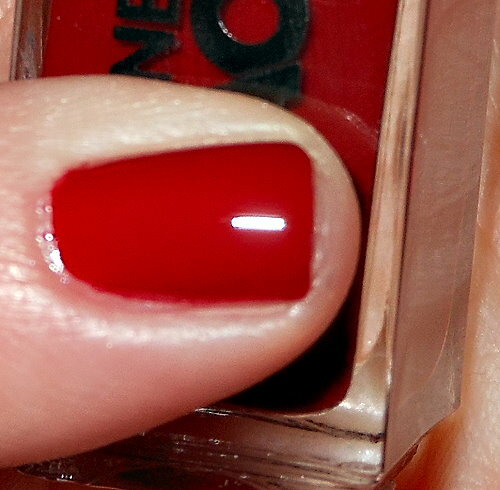 This is a cherry red semi-jelly. This is a gray-silver subtle multichrome that shifts green and purple. Color: I love these colors together. This is what drew me to this set and the others. I like someone choosing color schemes for me. I love the variation in finishes with these. The brightness of the orchid color is great. I love the richness of the shimmers and the multichrome is a great touch! Formula: I was very impressed with the formulas here. I only needed 2 coats for each of these swatches. I typically average 3 coats on most nail polishes, so this was a nice surprise! The most challenging formula was probably the orchid one as I did have some self leveling issues. Price: I paid $4 for this set at TJ Maxx. I can't guarantee you'll find the same set at your stores, but definitely check it out. This set originally retailed for $22. Yes, these are very teeny tiny bottles, but I still think it was a good deal for me. Overall: I'm happy with this purchase. I snagged a great deal. I love the color options and I was impressed with the formula. I can't complain! Awesome to hear you got them on such a great deal! There pretty shades.